Below is a simple guide outlining the steps to publish a review on Google. If you don’t already have a Google account, you need to set one up. This can be done easily here. 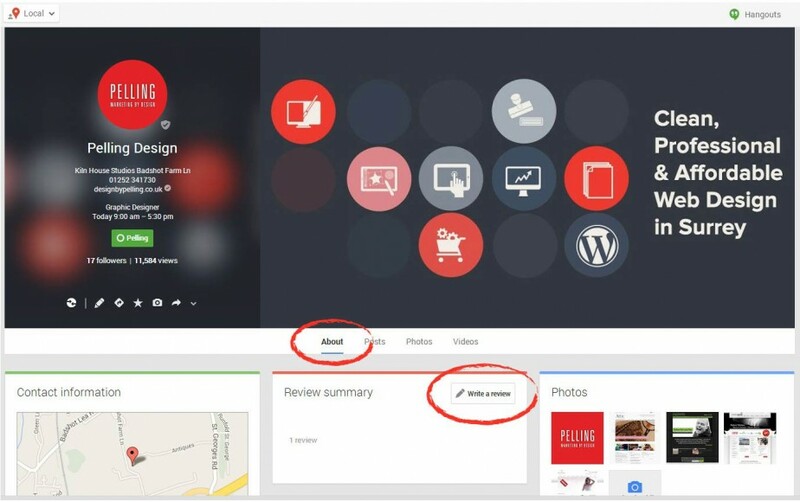 Once you’re logged in to your Google account, search for Pelling Marketing by Design, or visit our page directly here. On the About page, you’ll see a box in the middle titled Reviews, click on the button that says Write a Review. 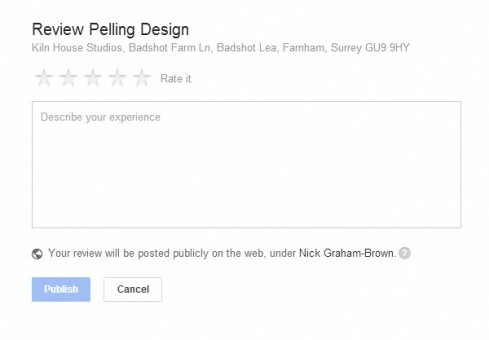 Write your review, and rate Pelling using the stars. Click publish, and you’re done!